Accessibility, affordability, transparency, simplicity and convenience – these are the key elements of Ligo, a revolutionizing startup that offers online legal services to entrepreneurs. 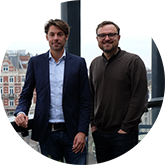 They include safe management of legal documents without the help of a lawyer as well as engagement in 30-minute consultations with their platform of legal specialists. Who said legal protection couldn’t be unstressful? Check them out! Hi Wendy, congratulations on successfully launching your Leapfunder round! 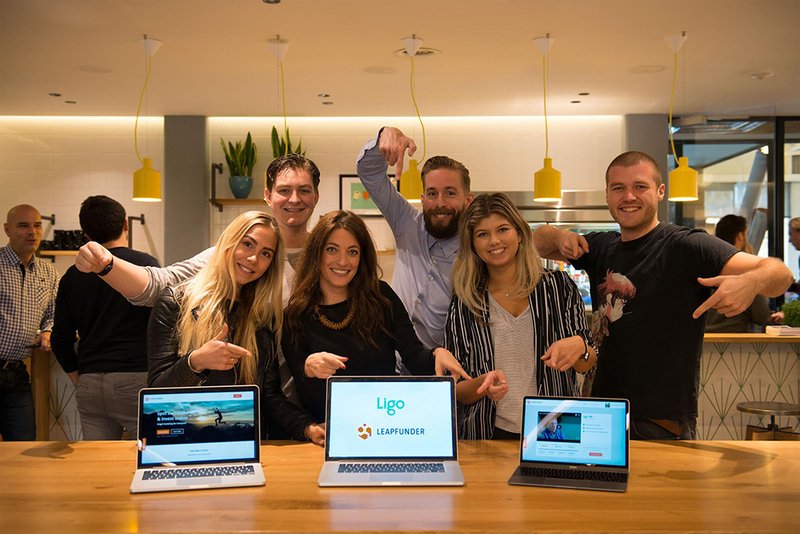 Could you please tell us more about Ligo, how you came up with the idea for online legal services and the amazing team behind it! Thank you! We are very excited! Ligo is the partner in legal for entrepreneurs. With our online platform, we offer any legal service or product an entrepreneur needs at a fraction of the time, cost, and complexity of the traditional system. 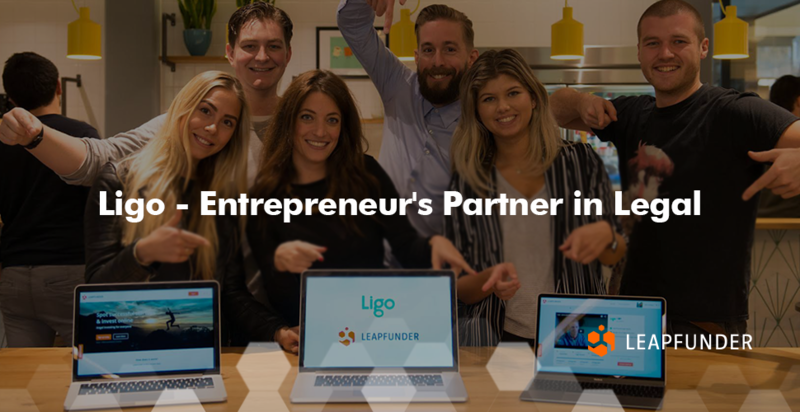 Whether an entrepreneur has to incorporate a BV, needs a non-disclosure agreement or needs a lawyer for a conflict with a business partner, with Ligo they have one reliable legal partner they can go to. The Ligo platform gives them the convenience to manage all these matters from one central place. We make it simple and affordable for entrepreneurs to protect their business, so they can do what they love: build their business. The idea for Ligo came up while I was working at an international law firm. I experienced inefficiencies in workflows of the legal profession. In 2014 I started my own law firm. Many of my clients were young ambitious entrepreneurs, from whom I learned that there was no affordable solution in the market that met all their legal needs. The idea for Ligo was born. The other team members of Ligo are Sander Nieuwenhuizen (CTO), our tech craftsman and Agile expert; Paul Reijnierse (CPO), sketchbook in hand filled with new ideas to improve our UX; and Quint Zieltjens (Marketing), metrics and conversion always on his mind. We met each other at WeWork, a co-working space, and instantly there was a great match. Within 10 weeks, the team developed the Ligo platform and brought the product into the market. What are the key elements of your technology and what makes you differ from your competitors? The Ligo platform is built around three pillars: (i) safely create, store and share legal documents without the help of a lawyer, (ii) incorporate a business online, and (iii) get connected with the right legal specialist that can help you with complex problems. From their personal Ligo-dashboard, entrepreneurs can manage all their legal needs. The Ligo platform provides do-it-yourself documents and online notarial services. With this approach, we have ensured that many of the labor-intensive processes and accompanying workflows are automated through the use of our software. As an entrepreneur it can be quite daunting to figure out where you stand in terms of legal protection. We have developed an easy and free tool: the Legal Checkup. By answering a set of questions we exactly point an entrepreneur to what actions need to be taken in order to protect their business. It is our goal to be there along every step of the way an entrepreneur takes while growing his or her business, having the legal tools and products available whenever they need them as part of their membership. And when the going gets tough, we can help them get in touch with exactly the right legal specialist. This combination of our products and services is unique in the market. You chose Leapfunder as your online funding platform. What makes it the right tool for your startup and what do you expect from the round? Leapfunder makes it possible for us to get in contact with the right type of investors given the stage we are in. The accessible convertible note structure saves us and investors time and money. We expect to get in contact with a diverse group of investors who also believe that the legal industry requires innovation. We aim to raise € 150,000. We are confident that we can quickly grow our business to a stable level with the Leapfunder financing. What type of investors are you hoping to attract? What is the most important thing these investors should know about Ligo, and what it can offer them? We hope to attract investors who can relate to the widespread sentiment that legal services are too expensive and complex to obtain and that the legal profession works inefficiently. We think that Ligo is interesting for investors who believe in highly scalable platforms and disrupting business models. That is what Ligo offers investors. The software has been built using technologies and frameworks that enable us to both deliver high-quality software in a very frequent and fast manner and to scale up with a growing number of users without making major and costly adjustments to the software. The most important thing to know for investors is that we are going the redefine the legal industry with the best team you can possibly imagine! What’s next for Ligo? Tell us about your strategy for the future, how are you planning on spreading the word and acquiring customers. Ligo was launched in the beginning of September 2015. We already have a group of enthusiastic members who are actively using our services. Our goal is to be the legal partner of thousands of entrepreneurs in different European countries. Leapfunder will help us in achieving this goal. We will invest in our marketing efforts, improve the Ligo-platform by optimizing flows, add new features, increase the number of legal documents and establish an overall fantastic user experience. We strive for a data-driven approach in order to fully understand the needs of our customers. Based on data we will adapt and expand our services and products and improve our conversion funnels. Furthermore, we strongly believe in growing through partnerships as they allow us to reach a great amount of potential customers. Since we launched a number of interesting parties have approached us for partnerships so we cannot complain! For instance, we are very happy with our collaboration with SNS Bank and WeWork.